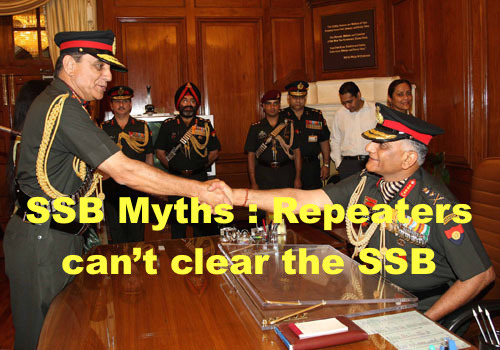 SSB myths Is it true that Repeater candidates are not selected usually, since they have been rejected earlier. 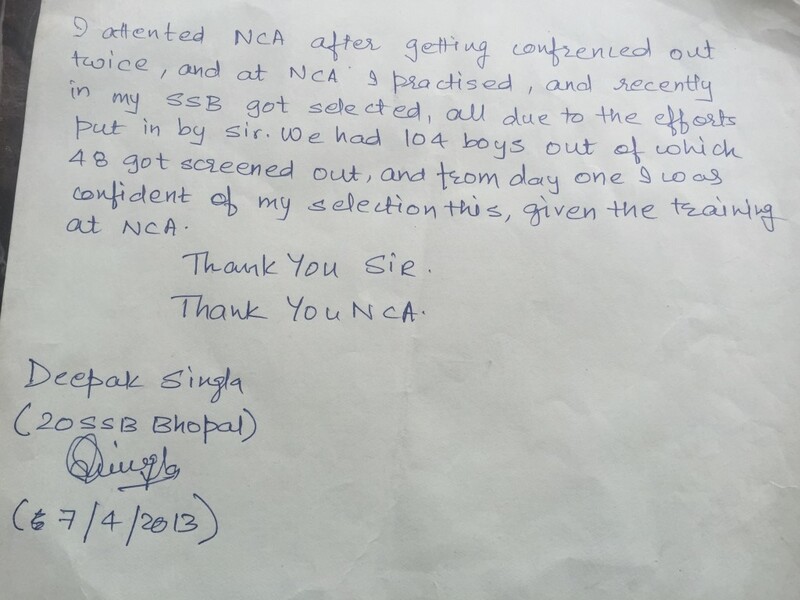 Its a myth amongst various candidates that once a person is rejected in ssb as a fresher then he stands no chance of clearing the SSB in his next attempts. Repeaters are likewise given consideration in SSB. It is totally a goof to trust that fresher has a more noteworthy shot of selection.But it here and there happens for the most part on the grounds that their Psycho part stays much normal than Repeaters. So. 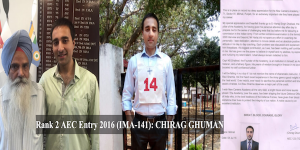 if a candidate works on his qualities then it would be no doubt that he will be guaranteed a selection come what may, Nowadays, we observe that number of repeaters getting selected are much more than the freshers, these days. The reason begin very simple ever attempt by a candidate is taken independently of his last attempt and what ever were your earlier SSB attempts will not be looked at . SO basically you will be treated as a clean slate. However one expects them to have certain changes and improvements on their personality as compared to the previous attempt. 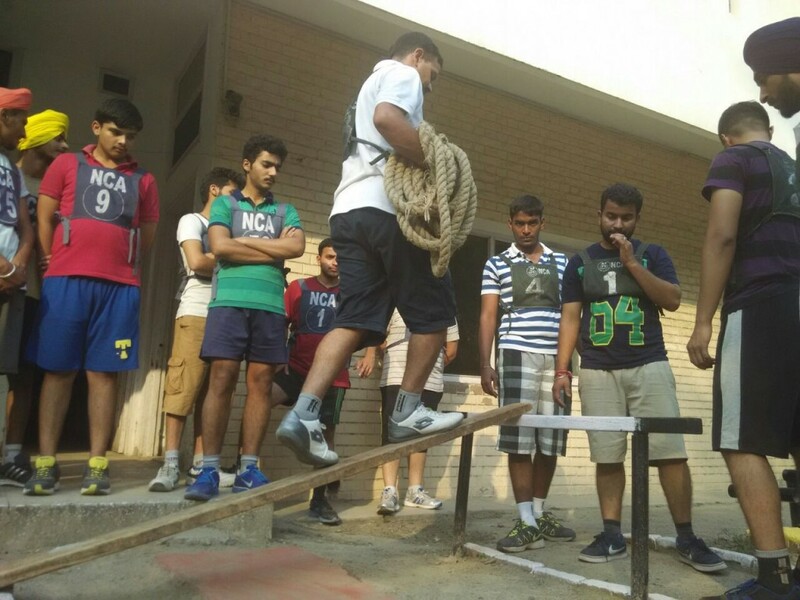 The choice procedure at the SSB is simply reliant on your expressive execution. So there are situations where beforehand suggested hopefuls have got screened out, and twelfth fourteenth time repeaters have got recommended. The reason is that we constantly continue advancing every one of our lives and those hopefuls who are more mindful and through express direction change their identity get prescribed. 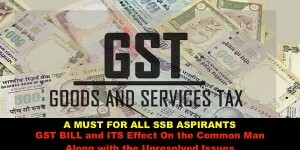 Topic For Group Discussion at the S.S.B. 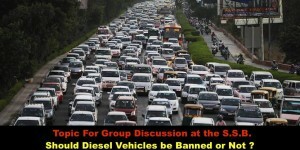 Should Diesel Vehicles be Banned or Not ? 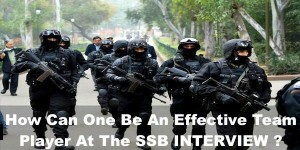 Why Being a Team Player is a must at the SSB ? 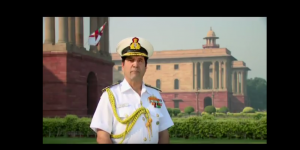 → What is Short Service Commission in Indian Air Force?